Our family's turkey ranch has been providing the highest quality all-natural and organic turkeys from our beautiful ranch in the Northern California foothills since 1949. Today along with our partner farms we still operate our sustainable farming operation and ensure that every product we produce is absolutely delicious. Thank you for your support of our family's sustainable ranch. 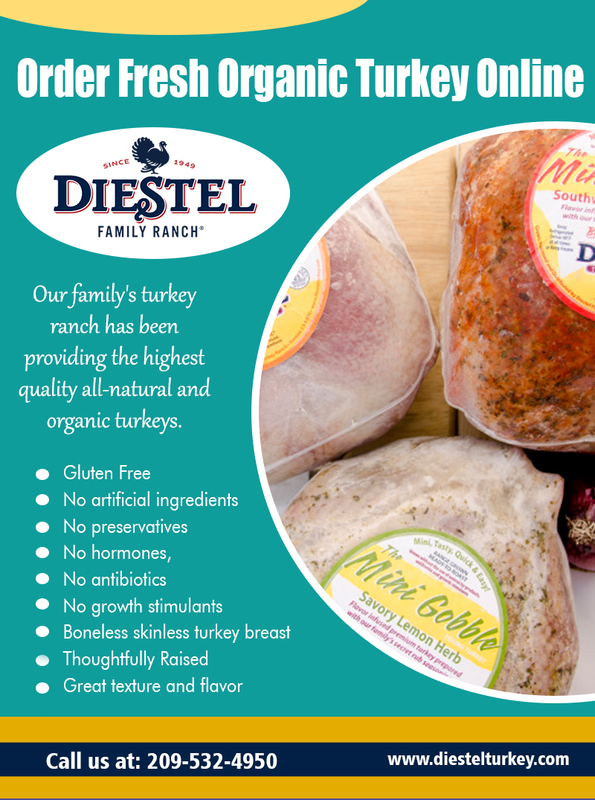 We take tremendous pride in our turkeys, and we invite you to experience the Diestel turkey difference for yourself! Imprint | Privacy | Abuse | Terms Powered by Yooco.org - Creating Social Networks.